Reminiscent of an English countryside estate, this is the first of our exclusive "Gosford Park" series. The lampshade is by Hannah Murphy, made with a creamy Silk & Taffeta, double lined, with 6" fringe and tassels. The lamp is 16" heavy bronze body with honey accents, and has 3-way switch. All new. Complete lamp and shade $498.00. Limited editions... only six available. 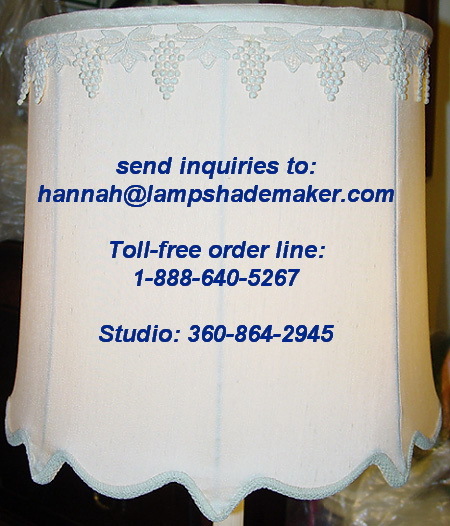 Three more exclusive lampshades coming soon.... the "Hannah", the "Castle", and the "Hearst".